Hull number 21 of the immensely successful Bordeaux 60 was meticulously specified by an experienced owner. No expense was spared, an attitude that has been continued ever since launch. 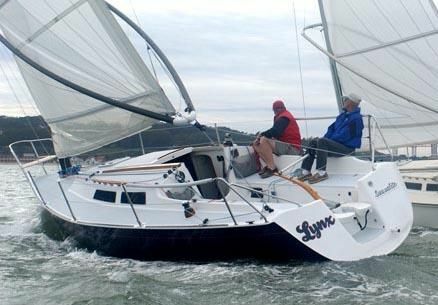 Her condition is remarkable and a tribute to her owner and crew. She has an exceptional sail ward-robe including North 3Di main and genoa which were new in 2017. 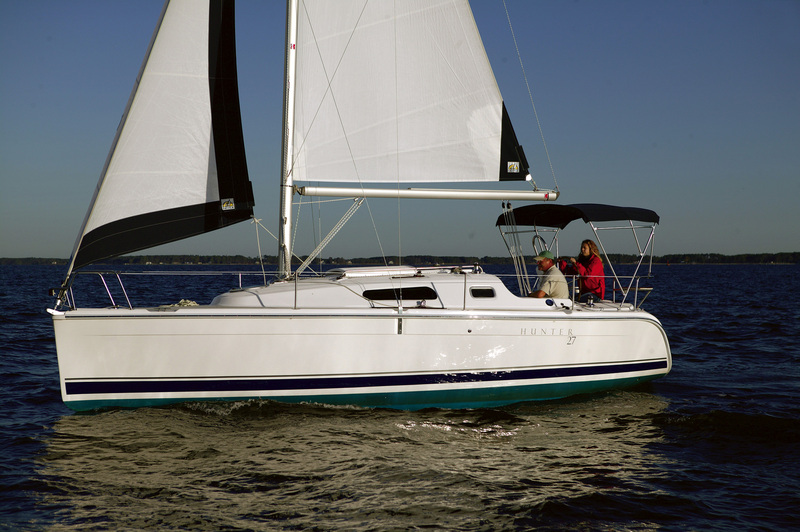 She has the optional lead keel with 2,45 draft. 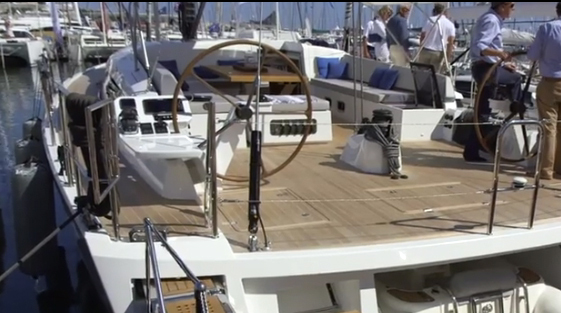 White painted mast and carbon v-boom and a custom lime washed teak interior designed by Hugon Couedel. This teak interior was a high cost option which significantly enhances the feeling of luxury and quality and is exceptional condition. Domestic and world cruising inventory includes satellite communications, water maker, washing machine and upgraded 11 Kva gen-set to run her 60,000 btu reverse cycle air-conditioning. In remarkable condition and recommended without reservation or hesitation. 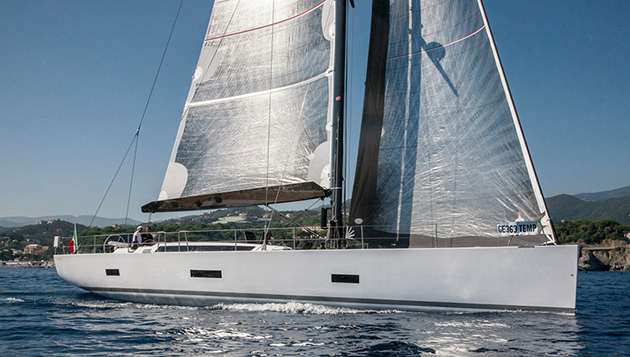 Contact central listing broker Stephen Abery of Ancasta London for more information on this stunning yacht. The hydraulic garage door opens to become a huge swim platform with stainless steel swim ladder and a hot and cold deck shower. Hull number 21 of the immensely successful Bordeaux 60 was meticulously specified by an experienced owner with no expense spared. This attitude that has been continued ever since launch. Her condition is remarkable and a tribute to her one owner since new. 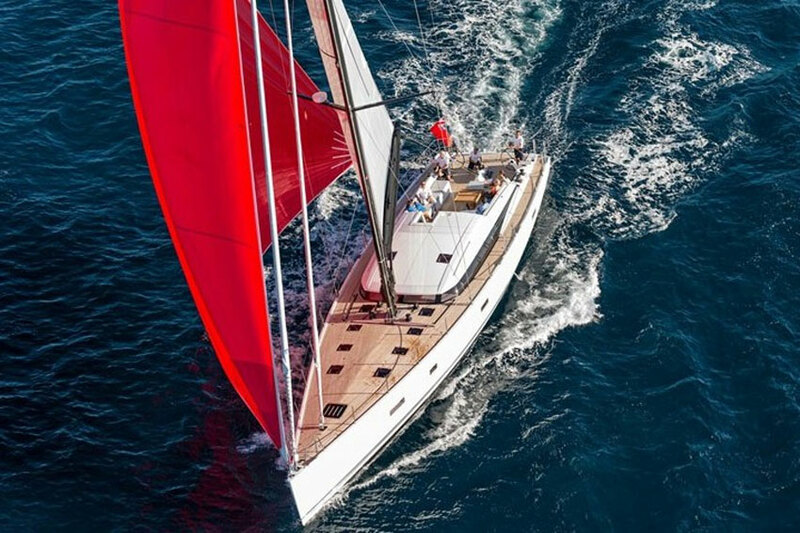 She has an exceptional sail ward-robe with a white painted mast and carbon v-boom and a custom lime washed teak interior designed by Hugon Couedel. This teak interior was a high cost option which significantly enhances the feeling of luxury and quality and is unmarked. Automatic FM200 extinguisher in the engine room.